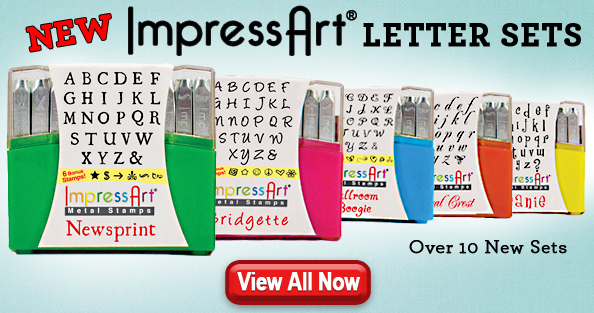 Remember last year when the awesome people at PJ Tool gave me a set of letter stamps by Impress Art to give away? 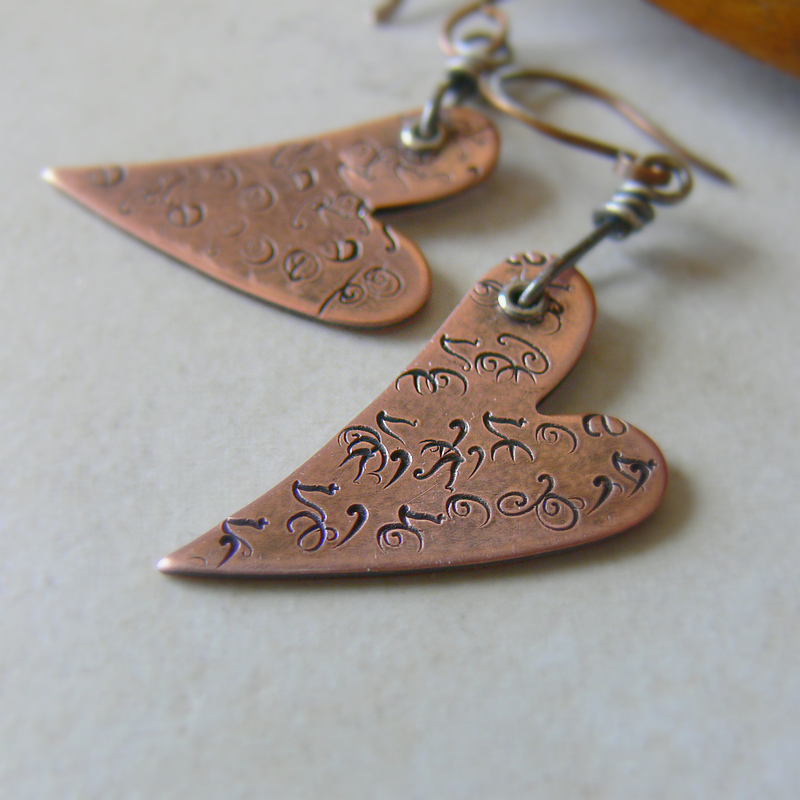 I tested them and made these earrings, a "secret message" with L, O, V, and E stamped randomly all over the copper. Well, they're giving me more goodies to give away! First the news from PJ Tool. and they all now come in PJ Tool's signature cases. (You can view all the new styles by clicking here). so no pesky cleaning before you can use them! And they come with easy-to-follow instructions. Here's how to win BOTH. 3) Extra points for Twittering and Facebooking. What a give away!! Yea!!! Lovely giveaway! I love using stamps...never actually do it enough! Love the font and that hammer...very nice! Amazing giveaway! Good luck to all! That would be a cool giveaway. I have stamps but still have letter stamps on my list. The hammer looks like it would be awesome. Would love to win it. How cool. Love the hearts that you did with these stamps. I would love to win. Ooh ooh! I would really like this! very cool! I love free things! Awesome giveaway! I'd love to win these! WOnderful! I'm going to share this great opportunity on my fb page https://www.facebook.com/WHcreativemind and on twitter too https://twitter.com/#!/WHCreativeMind thankssss! That's a great giveaway! Thank you so much for giving us a chance to get those great stamps! Great give away! 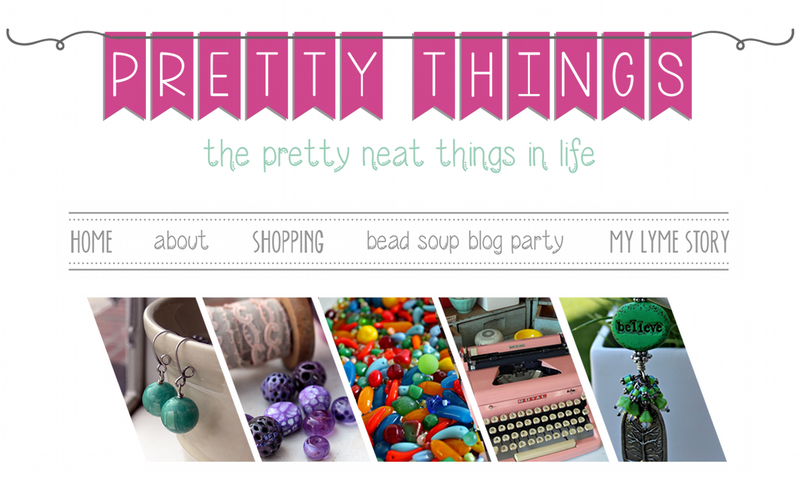 Your blog is so beautiful. How exciting! I will definitely be passing this one on! LOVE that sweet little font! And, you are right, who doesn't love a new tool, or an old very loved tool, especially a FREE tool!!! Thank you! Added the info to my blog. Oh you know I am all about new fonts! I am always seeking out new stamps for my pendants. I have a hammer that is similar to that and it is great. Great giveaway Miss Lori! Enjoy the day. Yes, I'd like some stamps and that new hammer. This is one tiny step towards letter press. I would love to win some stamps!!! What a fabulous giveaway! I just got an email from Impress Art today. I saw that hammer and it was love at first sight!! Hopefully I'll win it, but if not, I will certainly have it, one way or another! Thanks for the chance to win! What an awesome giveaway Lori and you know I Facebooked and Blogged about it. This lettering is so cute and I would love to use it on my clay...i will twitter this and fb it too! Thanks! Marti C.
what a festive font! & you're right, who doesn't love new hammers? Awesome giveaway! I'd love these stamps. I don't have any letter stamps, but I have so many ideas for them! What an awesome giveaway. I've been coveting a set of fancy metal stamps for months now. It's my birthday next week and winning these would make it extra special for sure. OMG! Count me in! I am a stamp-a-holic! Letters, designs, dingbats, you name it. I can never, ever have enough! Oh my that is a great font! * Crossing fingers and eyes! I have shared this on my FB page. I would SO love to win. I have been wanting to try metal stamping. Thank you for the chance to win! Oh, the font I've always wanted!! And an ergonomic hammer to protect the wrist, Yay! Those heart earrings are adorable, and a clever idea the way you stamped the letters, I "love" them, ha ha ha!! Hi Lori! Put my name in the hat! Please add my name to the drawing ....I have always wanted to try there stamps! Hi Lori, put my name in the hat! I would love to win this! Thanks Lori! Please put my name in the drawing....I have been wanting to try there letter stamps! What a great stamp set & that hammer looks fun!! :) Would love to win!! alicia coats jewelry (at) gmail (dot) com. Great Giveaway! I'll go post on my blog, too Lori! Wow! YOu have the nicest suppliers to want you to give away their super products! Thanks so much for the opportunity to be in the running, Lori! Oooh I've been drooling over the ballroom Boogie set for awhile now! I would love to get to play with them -- thanks for the chance! Love this giveaway! Please count me in!! I posted on FB too! Love to be included klo@mchsi.com. I will facebook it now!!!! I would love to win this gift perfect for me starting with metal. I love that font and covet the special little hammer!Please include me in the drawing. Love those Ballroom Booogie letters!! Fab giveaway - thanks for the chance!! I am loving the font and the look of that hammer! Thanks for all you do to keep your followers engaged, love it! Ok, I will jump up and down,sing out loud,cross my eyes,...anything...now all you have to do is forget everybody else and pick me. Heehee. Wow! I should have commented earlier. I plan to post this on FB and blog about it tomorrow. How did you know I needed a blog topic? Lol! Thanks for doing this. Oh How fun! Include me! Love their Impress stamps! Oh what fun! I love their fonts! Thanks for the giveaway Lori and PJ Tool! Thanks Lori and PJ Tool for the giveaway! I love their stamps! Thank you so much for the chance. I would love to win this set! Love them!! I love to stamp. Love them stamps. I am a big stamper!! Posting on Facebook. Can wait to see if I win :-) Thanks for opportunity. I NEED these. Really I do. My fingers and toes are crossed and double crossed. EEEE! OOOO! AAAHHH! How FUN that would be to win these. Blogging! Blogging now! Posted on Facebook, I hope I win :-) Thanks for the Opportunity. Also, will show up on my Crazy Creative FB page, but I'm mentioning it there, too, anyway! I've been dying to try this! 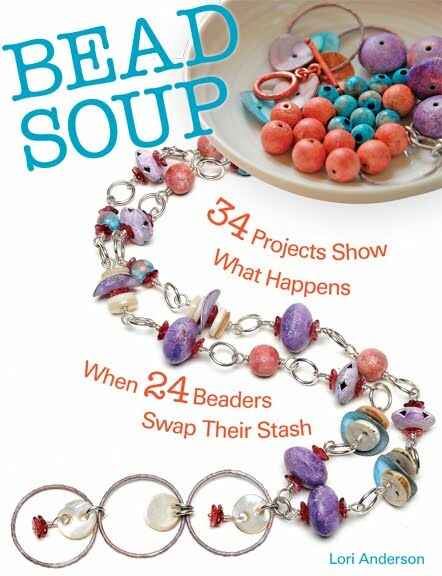 I really want to expand my lampwork jewelry to include metalwork. I FB'ed on both my personal and business page! oh wow there is no way I am going to win this one but please throw my name into the hat anyway! I have not done any stamping and I am soooo ready. I would love to win this. It would be perfect timing. I will FB and blog. I admit I just blogged about this generous give so I could have just the slimmest of chances to actually be selected to win these tools. Thank you Lori and PJ Tools. Lori your copper heart earrings are super fun! Wow Lori Thanks so much. I'd love to learn to stamp and this looks like a good way to start. Shared on twitter and shared on facebook. Wow - look at all these comments! Here's one more - hoping to win. Thanks for the giveaway! I have been wanting to try stamping for a while, so winning this would be great! Thanks to you and PJ Tools for the opportunity. now off to FB, TWEET AND PIN! I want to try stamping, so this is a fun giveaway. Thanks to you and PJ Tools for the chance. Hope this isn't a dupe. That is so cool! I do need a stamping hammer so badly. I'd love to win this! I'm thinking that it would give me incentive to finally work on metal stamping to make my attempts less "ghosty". That hammer looks awesome! Thank you for the opportunity, Lori! i'd like to try working with stamps!! thanks! Please put my name in the hopper! I would love to try stamping, and this would get me and the daughter started! wonderful prize! Hope I win. Oooo, I want these, the letter sets are really cool. Hope I win! Thanks for the chance to win, Lori! Well, there is no way that I'll win, but put my name in the hat anyway....I really could use these for my earring project! Not sure if this is going to be a double, but once again, I'll try....I really could use these for my next earring project! Oh wow, I would love to win these, have really been wanting to get into metal stamping. Thanks for the chance to win. I just started working with metal stamps. 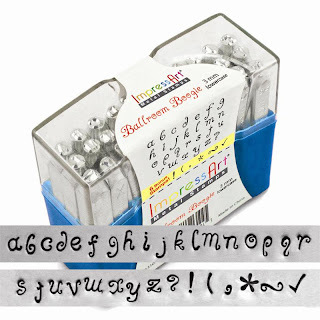 I bought a set of the lower case Bridgette stamps last summer at Bead Fest. I would love another font! 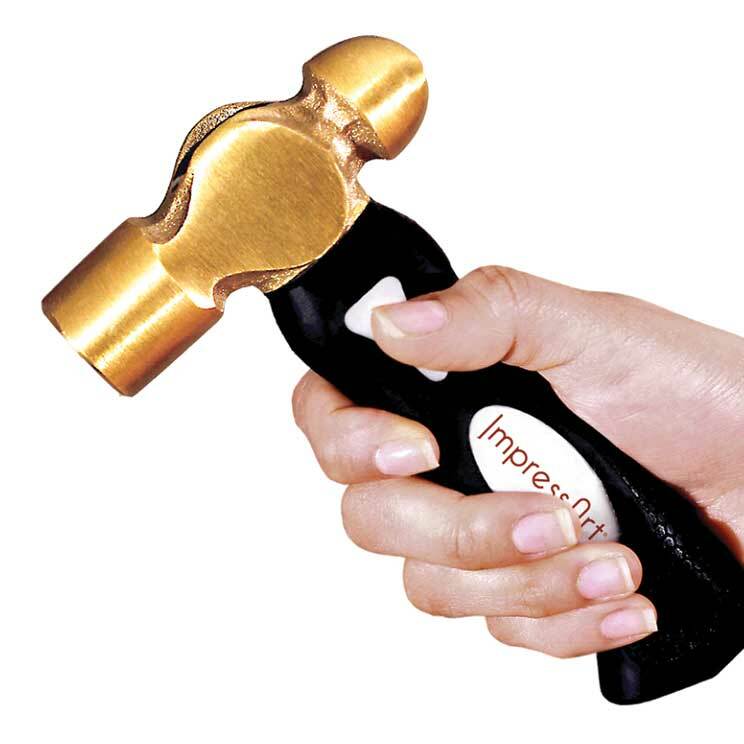 I also would love to own that hammer- I have yet to master stamping letters with a regular hammer and my brass mallet is too large for the metal stamps. Awesome giveaway!!! I've got a couple projects lined up that those would be perfect for. Thanks for the opportunity to win them! you always have the best stuff. and then you give it away!!! Would love to win these. Thank you. What a great giveaway! This would be a great way to learn a new technique. This looks like an awesome contest. That hammer is to die for. Thanks for hosting it. I'll be crossing my fingers. I love that set, that would be soooooo awesome!!!!! I am just starting to want to do some stamping. Jeepers! Who wouldn't want this set?! Great giveaway.m I'll cross my fingers! 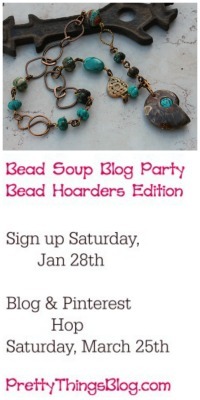 You giveaway the bestest goodies!! I've always wanted to do some stamping and these would be fabulous to learn how to do it. Thanks for the offering this cool giveaway, Lori! Holy Moley - 10 new stamp sets and 117 people who are signed up for the give away. Whew! Lovin' the new hammer and the stamps - I'm going to their site and I hope they are going to be at B&B too. Oh, this would be a great birthday gift for me! I totally love their metal stamps. Yay! I totally love their tools. This would be a great birthday gift to me. Yay! you're such a sweetie and so generous!! thank you Lori!! I would really love to win this. I've got one stamp set, but would like another font to try and the hammer looks great. Just posted to my facebook page about this. I would love these goodies. Thanks for the opportunity! Oh my god. 117 comments! T_T I soooo want to win this set! Lol. Throw my name into the hat! Woot. I love metal stamping and would love to win this! Love those stamps and what a great giveaway. Blogger has my contact info, now to share on FB and twitter. I’d love to receive these great tools! 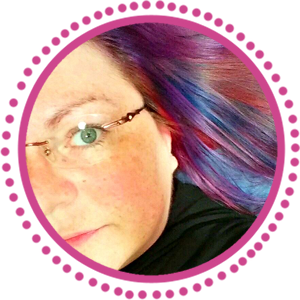 I’ve blogged, tweeted and facebooked for you! I'm in the mood to hammer some things! Good Luck everyone. I will FB and Blog. I have many "design" stamps, but no letter stamps. This would be a great addition to my other stamps! Just tweeted about the giveaway again. Aw shucks! It's too bad I'm not in the US. Would have loved to have had a chance to win this awesome giveaway. I've been looking to add different font types to my stamp sets and this set would have been a great addition. Would it help if I said I'd pay for the international shipping :-)? Well, maybe next time. Good luck to all you lucky US of A residents! I would love to win these, have really been dying to try metal stamping. Thanks for the chance to win. Thank you so much for giving us this chance. Although I am even excited to check out the new possibilities on their page! Oh, how nice of you and PJ ~ a girl never has too many fonts. font set. Those look like a lot of fun and I especially think the hammer would be a neat addition to my tools. Thanks for the opportunity! These look like great stamps to work with and the hammer is perfect. I love working with metal right now....would love some stamps to play with. Thanks for the oppurtunity to win. It would be wonderful to win these -- I could totally start stamping on silver!! I just shared because I love this giveaway and admire you. There is nothing like pounding on metal. I'd love to have the stamps and hammer to call my own, there are so many possibilities! What a wonderful give away - would love to have a chance to work with those stamps and that new hammer looks great. yes please! I'm slobbering over that hammer!